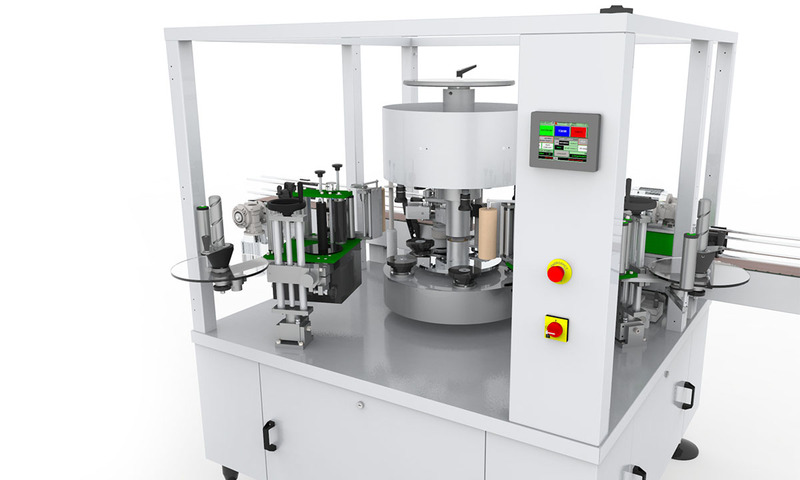 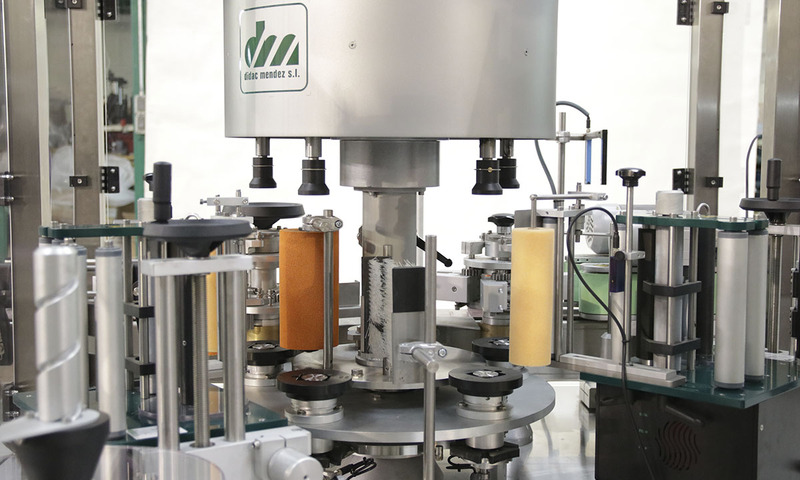 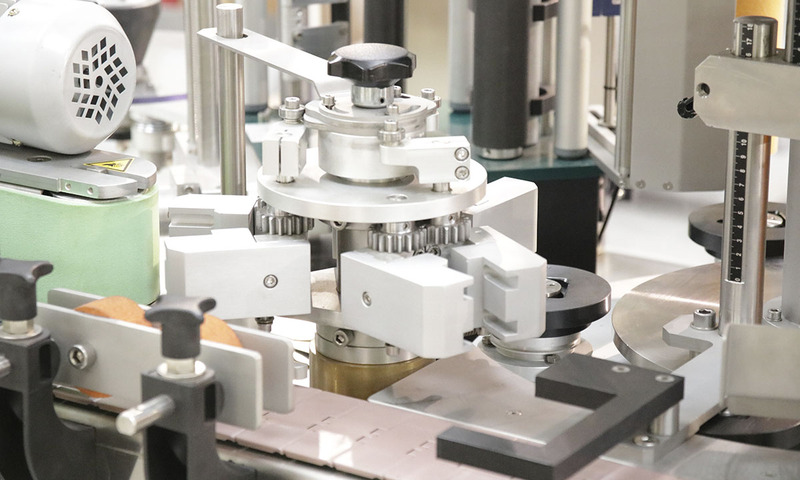 Automatic rewinder with double coil DMD-200, is a feeder of self-adhesive label holder band for a labeling head. 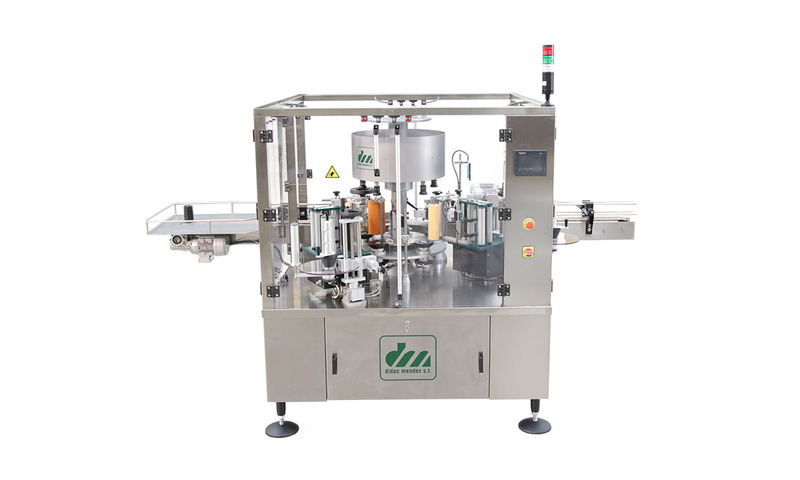 It is equipped with a set of photocells that control at all times the continuous feeding of labels, possible breaks of end of coil. 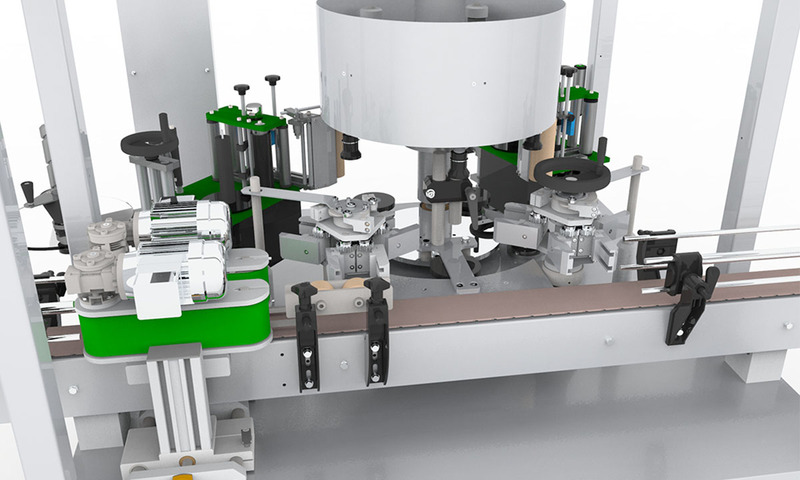 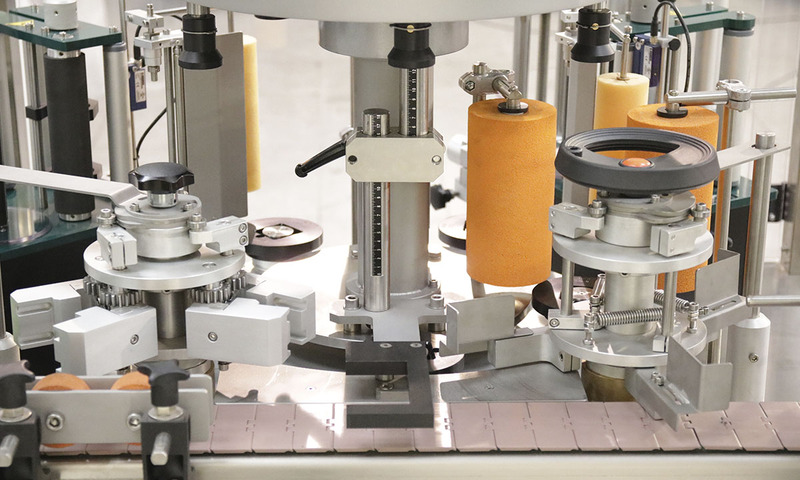 In addition, thanks to the easy joining system, it is possible to change the coil without interrupting production. 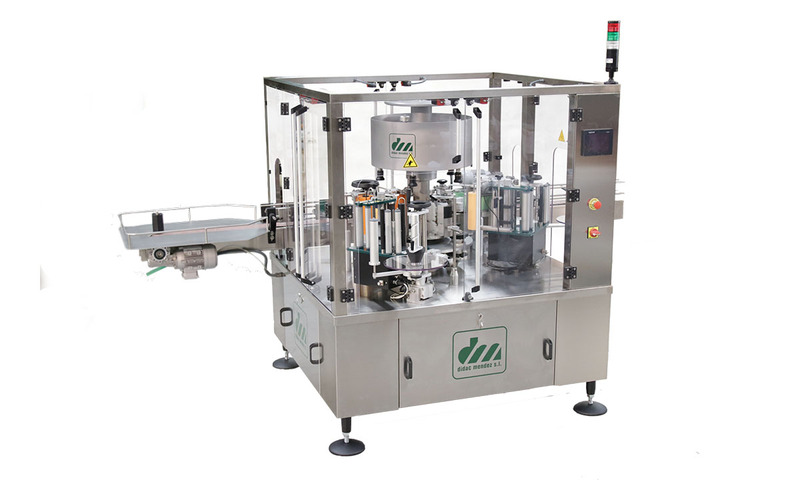 New rotary machine of economic format, the same format can process geometrically similar bottles. 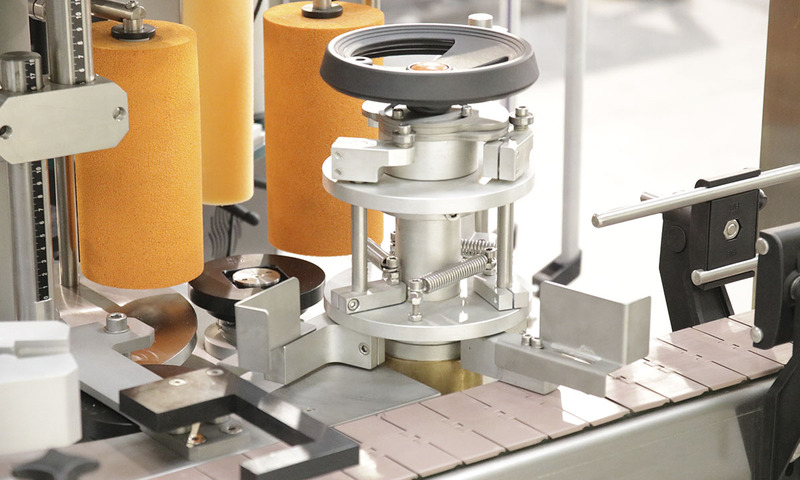 Equipped with 2-4 DMC - GT heads. 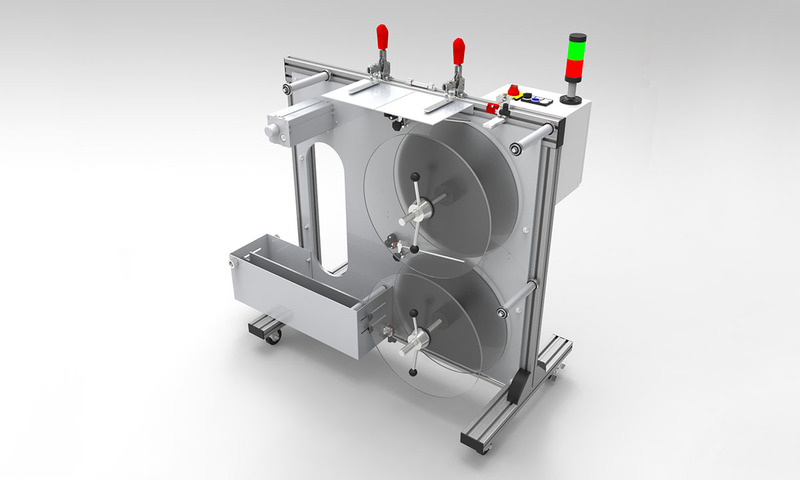 Height adjustment of the motorized upper carousel.